Novelist and arts & culture journalist James Meek talks with Matthew Stadlen about the presence of music in his fiction. James Meek is a contributor to the London Review of Books and the author of several novels. Of these, The Heart Broke In offers an outstanding example of how authors can harness music for narrative purposes. James and Matthew’s discussion on this topic promises to change your perception of novels in which music plays a role. James Meek was born in London and grew up in Scotland. He lived in Russia and Ukraine in the 1990s and, since 1999, has lived in England. He published his first short stories in the early 1980s, while a student at Edinburgh University. His first novel, McFarlane Boils The Sea, was published in 1989. 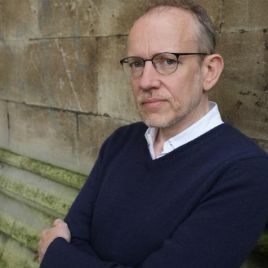 Since then he has published six more works of fiction: Last Orders (stories, 1992) Drivetime (a novel, 1995) The Museum Of Doubt (stories, 2000) The People’s Act of Love (a novel, 2005) We Are Now Beginning Our Descent (a novel, 2008) and The Heart Broke In (a novel, 2012). People’s Act, which was published in thirty countries, was longlisted for the Booker Prize and won the Royal Society of Literature Ondaatje prize and the Scottish Arts Council book of the year prize. Descent won the 2008 Le Prince Maurice Prize. The Heart Broke In was shortlisted for the 2012 Costa Prize. 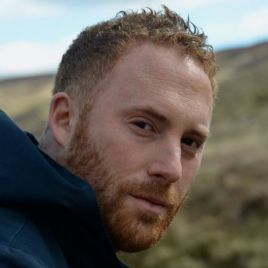 James Meek has written for a number of newspapers and magazines, and is currently a contributing editor to the London Review of Books. In 2014 his book of essays about privatisation, Private Island, won the Orwell Prize.